She’s right. The bus is a museum piece with three steep steps to get on board. There is no buggy or disabled space. Any anyway, how could anyone with even moderate mobility problems get on board? I got off the bus at the Co-op and snapped the shot below. Look again at that photograph and imagine if the person trying to board the bus had been a wheelchair user. A few weeks back, a wheelchair user up here at Tollgate waited in the cold for a bus. The bus that arrived was a low floor bus. But it could not lower its floor to get him board. Why? Because if the floor was lowered, the doors would jam open. The bus would then have to return to its depot for maintenance. So the wheelchair user went home, unable even to get to the shops. Our buses are clapped out. In other parts of the country, wheelchair users are threatening legal action because they cannot get space on a bus. Here in Ludlow, wheelchair users often can’t even get on a bus. This quality of service – or do I mean disservice? – is an everyday occurrence here in Ludlow. 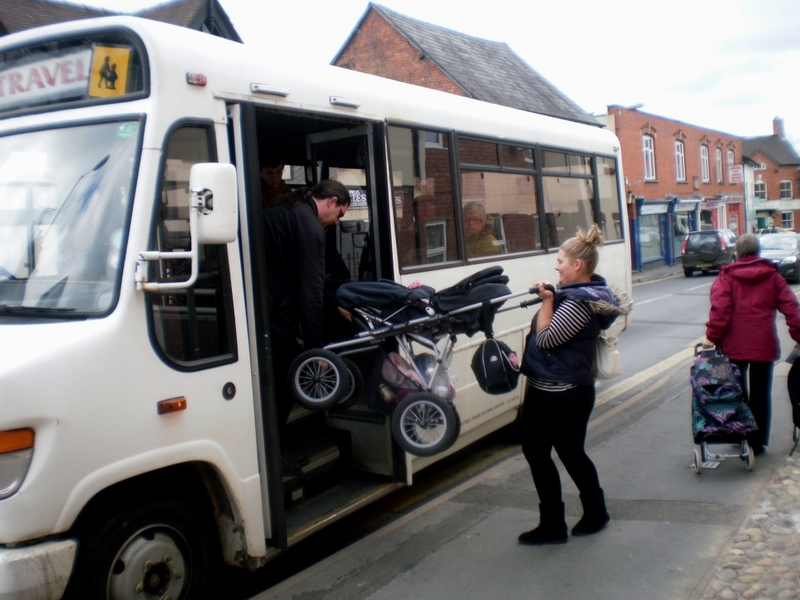 Is it a legal for Shropshire Council to fund a bus service that treats its disabled customers this way? Is it moral for Shropshire Council to treat disabled users so badly? We are used to Shropshire Council treating Ludlow as second best. But treating the disabled as second best is disgraceful.